Automotive design, just like the latest fashion, can be a fickle affair. Automakers have a fine design line to straddle with new products, between bold and bland. Keep too conservative, and buyers may dismiss a new vehicle, however great, as too boring; but go a little too outside the norm, and it sure will be the talk of the town but it might not be the success it was hoped to be. 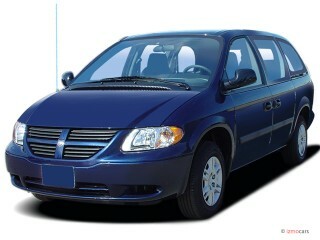 The latter is the story behind the current-generation Quest minivan. 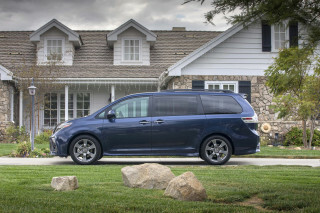 When it was being planned, market research had shown that buyers were looking for a minivan with edgier styling — inside and out — and Nissan rose to the occasion with a design that broke away from the cookie-cutter ideal of what a minivan should be. 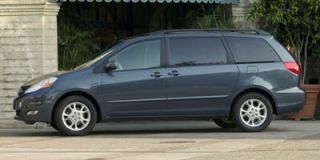 The result, introduced in summer of 2003 as a 2004 model, wasn’t really that far out from the mainstream, but for minivan shoppers the heart of the market is more function-over-form, brawn-over-beauty. To put it another way, the terms ‘fashionista’ and ‘minivan buyer’ are almost oxymoronic. 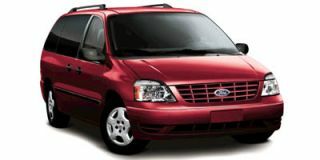 The Quest was rather widely criticized for its instrument panel design, which sacrificed some ergonomic common sense for fashion and futurism, and for its perceived quality (although JD Power and Associated did name the Mississippi-assembled Quest the most-improved model in the firm’s 2005 Initial Quality Survey). On the other hand, the Quest has almost unanimously been complemented on its carlike performance and sporty driving dynamics, so there was little that needed to be changed beneath the surface. So it was back to the drawing board for some mid-cycle design changes. The result is what qualifies as a major redesign inside and some slight design tweaks to the outside. The changes are almost entirely cosmetic, though interior function promises to be much more straightforward than before. First, looking at the exterior, the changes are subtle. The basic shape and sheetmetal is still the same and relatively unchanged. 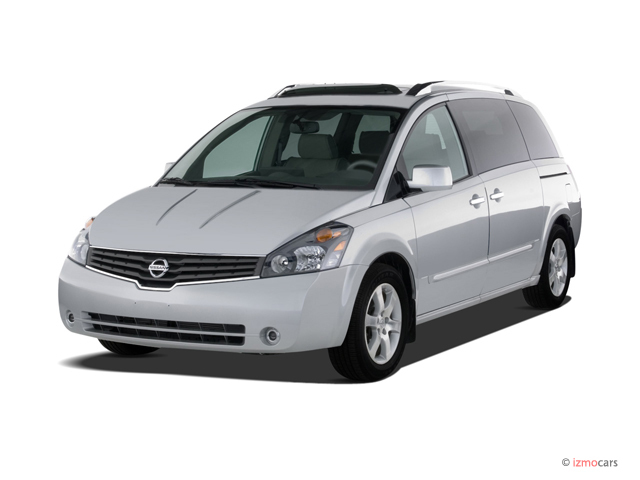 The front bumper fascia and grill have been redesigned for an updated Nissan family appearance; new wheel designs are offered; door handles are now chromed; headlights and taillights have been revised. 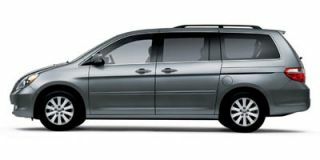 And, perhaps most notably, there’s an classy new chromed, beveled roof rack that’s offered on all but the base model and replaces the more integral one on the outgoing Quest. The interior is a different story. 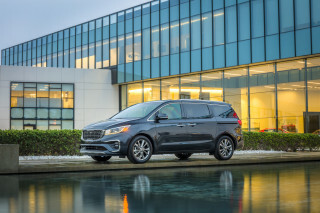 With its so-called “urban loft” interior — quite possibly the boldest, most stylized interior ever in a U.S. minivan — the Quest made waves in the design world, and it’s been named the best-designed interiors in the business by several in the upper echelons of automotive design. But while the Quest was appreciated by those who value unique design, mainstream buyers were a little bewildered by the whole package. 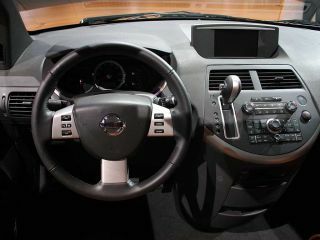 Nissan clarifies, specifically, that some buyers who were drawn to the Quest were a little discomforted by the general interior appearance, the odd center instrument cluster at the top-middle of the dash, and the lack of a center console. The basic message: keep it unique, but make it more functional. Inside, there are significant changes throughout, and they’re quite noticeable to anyone who’s acquainted with the quirky current Quest. For starters, the gauge cluster is no longer in the middle. The perfectly functional set of round analog gauges is now in place behind the steering wheel and visible through a side range of angles. The dashboard as a whole is smoother and more horizontally continuous. The center control stack has been thoroughly revised, with redesigned audio and climate controls, and the control screen has been liberated to the position high in the middle of the dash where the gauges used to be. There’s also standard wood-tone or metallic trim (depending on the interior color scheme), and the knee-busting (at least for tall folks like me), sharp, plasticky edge of the center control stack has now been rounded and trimmed. In addition, we can’t be absolutely sure of it, but it feels as if the surface of the control stack is angled down more than before, allowing the driver a better view of the buttons without having to lean forward (the audio and climate-control buttons themselves have been redesigned). The seats carry on the same basic design as before — the front two rows are firm, supportive, and reasonably well padded — and the upholstery has changed to include either perforated leather or new darker tones of fabric. A very attractive, rust-red ‘Chili’ leather interior is now available for those who don’t mind being a little more flamboyant; combined with the rear skylight option it’s quite the setup. The second- and third-row seats get integrated headrests that don’t need to be removed when folding the seats forward and down for cargo, and the third-row now has a helper-spring mechanism to make the otherwise balky arrangement a little easier to manage for petite folks. In addition, there are hundreds of small detail changes designed to increase both perceived and actual quality, including revised materials throughout the interior, redesigned trims inside and out, bigger map pockets and glovebox, new power-window switches, and increased lighting coverage. Storage bins have also been reconfigured and rethought, and on SL and SE models a center console is now on the options list. The sound system alone gets quite a few new features and changes. On all models, there are now illuminated steering wheel–mounted audio controls, plus there’s an auxiliary input jack and the system is prewired for satellite radio, and on all but the base model it now has MP3 playback capabilities with the in-dash six-CD changer. The optional DVD entertainment package has also been revised to include larger, eight-inch screens. Mechanical changes are few, but performance is already one of the Quest’s strengths. The 3.5-liter aluminum-block V-6 with continuous variable valve timing (CVVT), used in nearly all of Nissan’s products, makes 235 hp and 240 lb-ft of torque here with the new SAE method. The engine still requires premium unleaded, according to Nissan. The five-speed automatic transmission that pairs with it now gets a wider range of gear ratios for better acceleration, and the power steering has been recalibrated for a more linearity and more road feel. There has also been an effort made to tune out road harshness and tire noise. 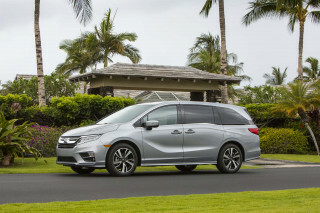 On the road, the changes are rather subtle; it’s still one of the better-driving minivans available, but you won’t find anything close to the dynamics of a sport sedan. The excellent engine manages to put out more grunt, both in terms of off-the-line torque and higher-rev passing power, than other vans with similar or higher rated horsepower (possibly due to those other vans’ higher weight). It also does feel slightly quieter inside than before. But body control isn’t always in check if you decide to have a little fun on a curvy road; when you pitch it a little harder into a corner there’s a queasy amount of body roll before the suspension reaches an underlying firmness to keep things in check. And the steering wheel might give a little more feedback than before, but it still, more than we’d like, resists returning to center coming out of tight turns. Around-town handling and parking is a cinch in the Quest, though, thanks to good visibility and the rear monitor system, if so equipped. 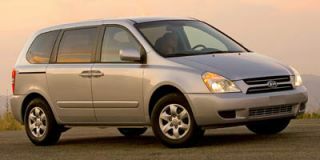 Standard safety features include side-curtain airbags for all three rows of outboard occupants, front-seat active head restraints, and adjustable headrests for all occupants. 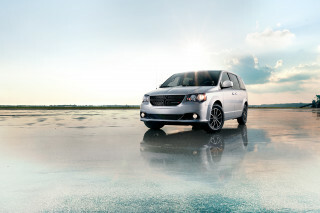 Front-seat side airbags, a run-flat tire package, and the VDC stability control system are on the options list, though the side bags and VDC are standard on the top SE model. The redesigned Quest will go on sale next month in four trim levels—3.5, 3.5 S, 3.5 SL, and 3.5 SE—at prices very similar to those of the 2006 model, which ranges from $24,150 base to about $37k fully loaded. Overall, Nissan’s mid-cycle redesign does soften the impact of the Quest’s edgy interior design, and we do see it filling its purpose and broadening the design’s mass appeal. The Quest still feels far more aesthetically exciting than the excellent — albeit rather cookie-cutter-styled — competition from Chrysler, Honda, Kia, and Toyota . We wouldn’t go so far as to rank the Quest our favorite, but it’s near the top of the pack for performance, competitive in terms of its packaging, and definitely the most distinct people-mover on the market.